Chess is an exciting game for all ages people because there is a lot of action involved on the board while non-players just see two people brooding over wooden pieces. The pieces in the chess set are always the same. They consist of the king, queen, bishops, knights, castles and pawns. Ordinary chess pieces are black and white, while the chessboard has black and white squares that are alternately arranged. We present different chess pieces for you. We have color chess that will make your game more interesting and colorful. Our color chess is very beautiful and glossy. Those are made from high quality Teak wood and carved by professional craftsman. 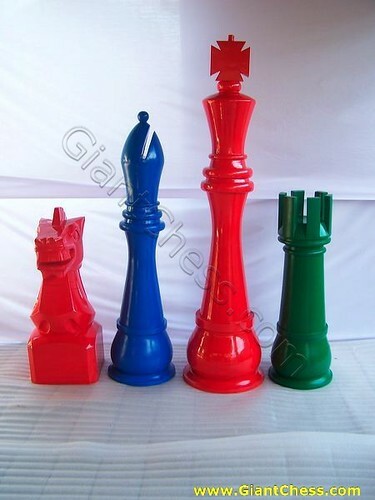 Beside as chess pieces for game, these color chess also perfect for house decoration. It will be nice to decorate your living room or children room with these color chess.